This stately, all brick Colonial sits on an expansive .68-acre lot and features a sundrenched floorplan with over 4,800 SF of living space. With 6 bedrooms and 6.5 baths on 3 levels, this classic Bradley Hills home is move-in ready, yet full of potential for a buyer looking to update or expand. A circular driveway and stone path leads into a gracious center foyer. Step into the sun beams flooding the formal living area that boasts a fireplace, crown molding, and French doors. Step outside onto the covered stone patio or into the dining room which includes enough space for 10-12 seated guests. Hardwood throughout the entire home leads to a main level office and powder room. The chef~s kitchen offers granite counters, dual wall ovens, and ample storage. The main living level is complete with a master suite that can also serve as a spacious sitting-room or library. The second level features 4 bedrooms and 4 full-baths, including a corner master suite. The lower level includes a laundry area, as well as a full bath and a bedroom/rec room, plus storage. The .68 acre lot offers a deep, flat, private lawn with bountiful space for hosting outdoor events, or a pool and pool house (subject to county permits). 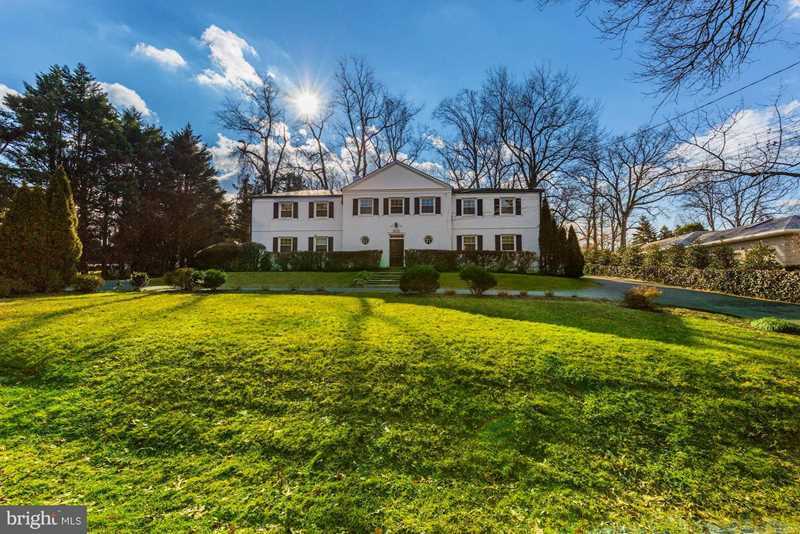 5410 Goldsboro is supremely situated just over a mile from Whole Foods, easy access to Crescent Trail, a stone~s throw to Downtown Bethesda, and close to Metro. Directions:HEADING NORTH ON RIVER RD FROM DC., RIGHT ON GOLDSBORO, 5410 ON THE RIGHT BETWEEN RADNOR AND BRADLEY BLVD. SchoolsClick map icons below to view information for schools near 5410 Goldsboro Rd Bethesda, MD 20817.